Lewis Hamilton: I’m not exhausted. Q: He’s not exhausted. That doesn’t look like champagne to me, Obviously, you’ve made a bit of history here, you really like coming to Singapore, it’s the tenth anniversary, your third win here, come on, tell me about it. LH: Well, firstly, as always I want to really congratulate my team, this is a great result. Valtteri did a fantastic to get a one and a three up here – amazing points for the team. Obviously, yesterday we struggled. We had no idea what was going to happen today but the thing is we just tried to stay focused and tried to get ahead. Obviously it was very fortunate with the Ferraris at the beginning, so yeah, I couldn’t be happier. I’m really grateful. Q: I’ve got to ask you this, because we interviewed him yesterday and he said that he needed a miracle today. Well, I think he had Santa Claus, the reindeer and he had the miracle. Come on, tell me, this was just out of heaven! Q: Come on, you don’t mean that. You were just seeing what was going on in front of you. It was classic for your 60th win. LH: It was, but when I got round to Turn 2 or Turn 3, I had Sebastian in front and I thought ‘I’m going to have a real race here’. Obviously it’s better the way it is, but I’m just glad I brought it home. Q: We’ll come back to you, but just enjoy the 28-point lead you have in the championship at the moment. Daniel Ricciardo: he’s made a bit of a habit of this. This is his fourth time, out of 10 years, his fourth time on the podium. What is it about Singapore? Daniel Ricciardo: I can’t win the bloody thing! I’m trying; I’m trying. I like it around here. Today, we probably didn’t show that Friday pace we showed in practice to have the pace on the Mercedes. A little bit disappointed to miss out on a win but I’ve still got to be pretty grateful and happy with another podium and I think there are more Aussies here than last year and there was more then than the year before, so it’s getting better. Thanks a lot. Q: We’ve got to ask you because it was one of the key factors of the entire race. What was your take on it – without blaming anybody? DR: I just kind of watched the chaos unfold in front of me. It was probably a good thing I had a bad start, otherwise I would probably have got caught up in it. It just looked like three were trying to go into one. I don’t know whose fault it was but it was just too close. Q: We know that Lewis won driver of the day but you’ve got the fans here on your side, man, and many congratulations. Fantastic. Where’s Valtteri? Valtteri, you had a Sunday evening cruise. You were just sitting back in your armchair watching what was going to happen? Valtteri Bottas: Yeah, of course it was, for us, very good damage limitation today. We definitely got lucky, but I have to say the car was working better than expected today. I was really waiting for the opportunities. Personally, I struggled in the wet with the pace, but in the dry it was pretty good and from time to time I could put pressure on Daniel but that was about it. Q: I’ve got to talk about your own championship. You’re closing that gap now to Sebastian. That must be in the back of your mind, with all these races to come? VB: Definitely. There are plenty of races to come and plenty of opportunities, so yeah, definitely Sebastian is the next target. Q: Were you aware, in all the 10 years here, we have yet to have a team 1-2 here and we thought today you might be the first to break that duck. You fought very hard but it didn’t happen. Did you have that in the back of your mind or did you know about it? VB: No I didn’t really think about it. I was just trying to get the most out of it. I think we take it, although it’s not a 1-2, but on a difficult circuit for us a 1-3 is nearly perfect. Q: Lewis I’ve got to say to you, when you saw what was unfolding in front of you, what was going through your mind? Q: Lewis, many congratulations. Third win here in Singapore, seventh of the season, perhaps an even more satisfying number, 60th career win, only the second man to reach that number, third win in a row and obviously lots of fun going on to your side? Great win against the odds. I think the real thing is that you seemed to have an answer for everything. Whatever the conditions, whether it was used inters, new inters on Daniel’s car, ultrasofts, you just always seemed to have answer. Just give us a window into your state of mind when he was on the new inters and you were on the used and it was looking as though you might not have the right equipment on the car. LH: I feel like we distracted you. Have we distracted you? That was a very long-winded question. For those of you watching – we’re all a bit gassy up here. That’s why we are in tears. Yeah, what a day. What can I say? When it start raining when I woke up this morning, I was thinking, ‘fantastic’, because it’s a very difficult circuit on which to overtake. 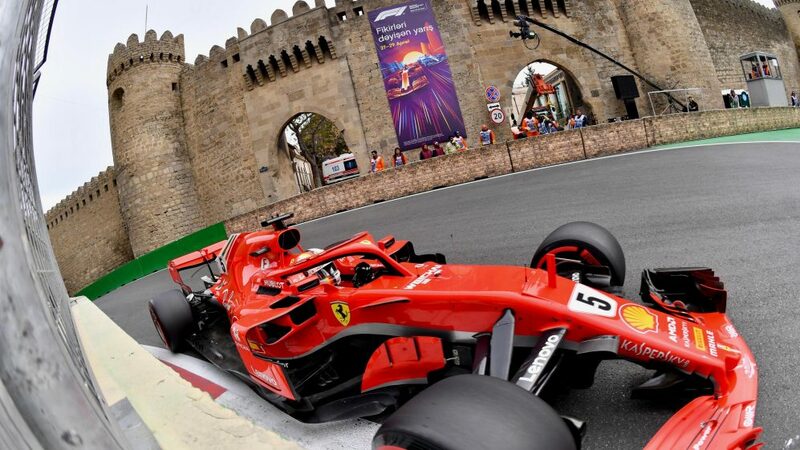 Being fifth, knowing that the Red Bulls and the Ferraris were so quick, on a grippy circuit, being dry, I knew it would be very, very difficult to progress from fifth place. But I did know there is a start, a strategy, and the potential for a safety car, that often happens here every year. It dried up and it started to rain just as I started, which was really a real blessing. Those are my conditions, that I love to drive in. Once we got going… I felt like I had a good start, but I think Kimi had an incredible launch and then I saw this commotion happening, I was alongside Daniel. I had a great Turn 1 and came out behind Sebastian. I couldn’t really see what had happened behind. And then I came out of Turn 3 and I was just excited to race Sebastian. I was like: ‘it’s on; I’m ready.’ But then he had a problem with the car or whatever it was and he lost control. Then I was in the lead and the safety car came out. After that it was about managing the tyres. Daniel had that stop, which was a bit of a surprise to me that you could have a free stop and be behind me on brand new tyres. But I think… if you remember back in 2008 in Monaco, I just nursed the tyres. We often shred our intermediate tyres and the Red Bulls are usually very, very good on them, so today was just about making sure we managed them to the maximum. I was able to keep them cool and not have any degradation. Even at the end when I pitted I still had life left in the tyres, which is very, very rare. After that we had a great battle. It was quite tricky conditions when we went back out but it was really just about managing the gap. I ha da good amount of pace in the car today, it seemed to work in those trickier, cooler, slippier conditions, so a real blessing and just grateful for the team, grateful for all of the effort that went in, strategy. I’m happy with the performance from myself and Valtteri did a fantastic job as well to really solidify some really great points from the team. Q: And just a thought on the big 6-0? Only the second man to reach 60 grands prix wins and what a way to do it. LH: Oh jeez, I hadn't even realised. And I didn’t hear you say that before. Wow. I guess I need some time to digest it. These kind of wins are a lot more satisfying than pole to win or… these wins when it is those tricky conditions. It is the toughest race for us. There are so many white line that are painted white and also painted black, it’s so tricky. Any little mistake. Plus, all I needed to was bring it home, but I’ve got Daniel behind me, I can’t make any mistakes today, so it was a real challenge today but one I thoroughly enjoyed. Q: Very well done – great win. Daniel, all OK? DR: Better now. I feel our battle here was bigger than the battle on track. We’re doing our own version of beatboxing. 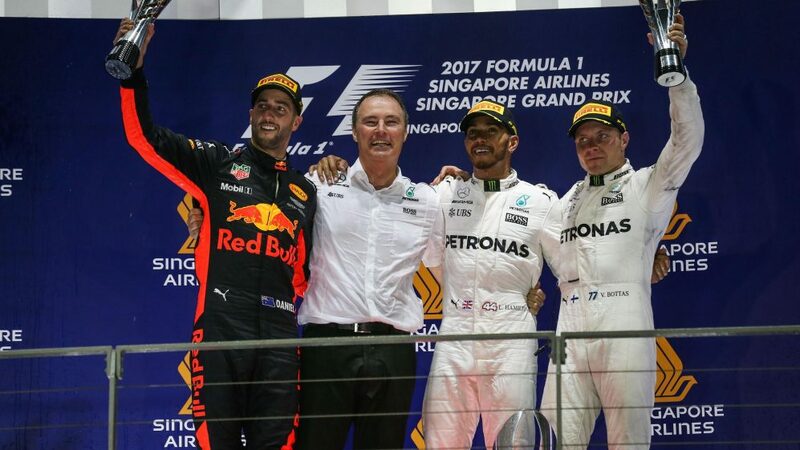 Q: Another Singapore podium, but not the victory. You rolled the dice and went for those new intermediates and did you think it was going to gibe you more. Basically, where did the pace go? It didn’t seem that in any situation today you had the pace to give this guy a hard time. DR: Yeah, that was probably the most frustrating thing. I mean frustrating not to get that first win here. I think it’s three years in a row with second now. Normally I’m happy with a podium, obviously it’s great. It’s more that we didn't have the pace that we showed on Friday in the long run. We just struggled to look after the tyres. Just felt like when I was able to punch out a good lap time, I couldn’t really maintain it, where Lewis could answer and then answer again. So it felt like every time we matched his pace we were taking more out of the tyre. We had a couple of little issues as well. I had to manage the car in some situations with the gearbox and that, but ultimately I don’t think it changed the shape of the race. I don’t think that was the reason we were second and not first. I have an idea, if we were to do the race again, how to set up the car differently. I feel something we did on the car it would have helped if we went the other way for how the track conditions were, but it was fun nonetheless, you know the beginning, never going around here really in the wet. As Lewis touched on, the lines are so slippery. 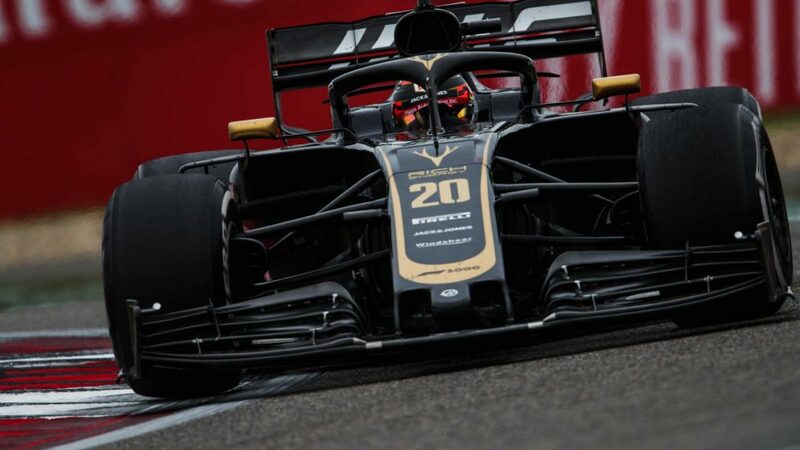 Even the painted lines that are black, they don’t seem like they are line but they are underneath the dark paint and the car kind of slides, grips, slides, grips and just really tricky, Just I guess still happy to come away with a podium. It’s not a win but I’ll be grateful and still happy with second. 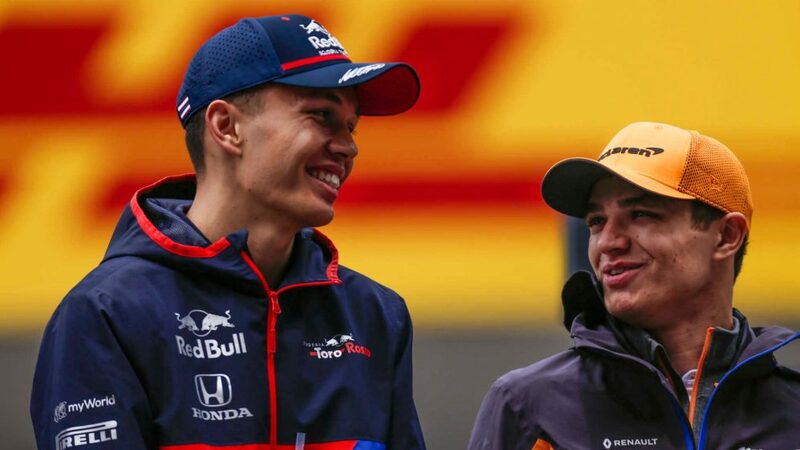 Q: You mentioned the start on the podium, but what about the secondary impact, the one that took the Ferrari and your team-mate off the track and hit Alonso as well? How did you get around that? DR: In hindsight it was a good thing I had a pretty average start. It gave me some time to basically see what was going to happen. I saw there was contact with Kimi. I knew there was a bit going on there. I could see Max had sparks, so I wasn’t sure which way Max’s car was going to go, so I had already backed off in case Max let’s say turned into because I was on his outside and then I could see Kimi coming and I knew he had damage. If it was Fernando I don’t think he saw probably as much. It looked like he just braked late and tried to make the move stick, but then those cars were obviously going up the track. I was just trying to play it cautious and look ahead and fortunately that was the right thing to do. It was pretty chaotic. The spray was really bad, so just even the spray along with that meant it was a pretty chaotic first few corners. Q: Valtteri, your 10th podium of 2017. Mercedes take a 102-point lead in the Constructors’ over Ferrari. Your view of the start as well, and also it was clearly a very tricky Friday for you, single lap pace and long run pace. Tell us about the improvement today. VB: Yeah, the start was definitely quite special and it came to me and Lewis in the end. I got a bad start personally, so I had plenty of time to observe what was happening at the front and just try to avoid any debris and impacts. So, yeah, from my side it was all clean. Was struggling in the beginning of the race in the wet, just purely with the pace. Have been struggling with the pace all weekend but as the track started to dry up everything was feeling actually not too bad and could keep up with the guys ahead and sometimes get really close to Daniel – but for us, the starting point we had for this weekend after such a tricky Friday and Saturday, it’s a really good result for us as a team. Our approach today, it was all about damage-limitation. I think this was pretty good damage limitation today, so we can be quite happy about that. Q: (Ysef Harding – Xiro Xone News) Lewis, way to get the job done, congratulations. The deck was stacked against you and it seems in situations like this you really seem to thrive and you found pace in the car where nobody thought there was pace in the car – and you showed that will and determination of a Green Lantern. What is it about these situations that just makes you come alive like that? LH: Thank you. I’m not sure. Yeah, I’m not playing any games, and preparing in the best way I can. Obviously super-focused. Obviously today really came to me. As I said, I would have given everything, obviously, if it was dry – would have been a much, much harder race. For some reason the Ferraris and also the Red Bulls are much stronger in those conditions, when it’s warmer and grippier but, it was a nice reset with the rain that came in today, which dropped the grip level, I think. 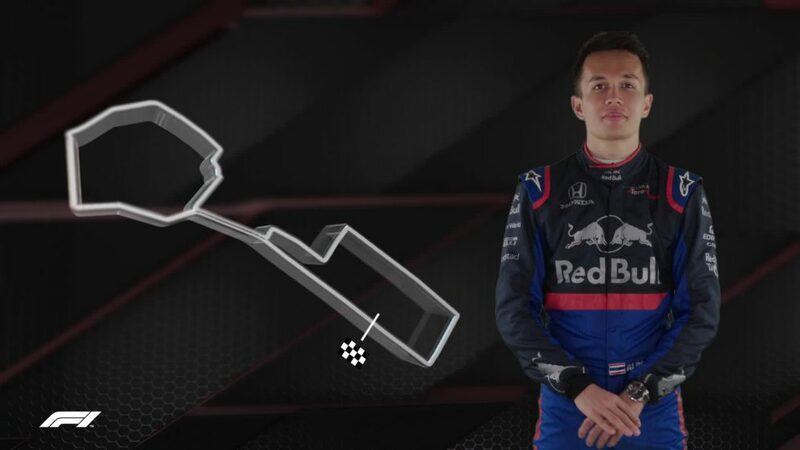 And then obviously being Intermediates to start with, still even in that scenario, I thought they would be a lot closer pace-wise but… yeah, these conditions, as I said, I love, and it’s very much an opportunity to really make a difference with your driving in those conditions, and today I was really able to. It was the first time for all of us driving here in the rain, so it was a massive, massive challenge, which I love. I love that. When you have to rise to the toughest of challenges, that’s the most exciting part for me. For me it was just about staying focussed and not making any mistakes. Something I’m very set on this year. That’s kind of, for me, coming from last year, for example, where there were lots of mistakes, this is a year I try to make sure that, if I’m going to grow anywhere, in any space, that’s going to be it. And focus on not making any mistakes seems to be working. Q: (Dan Knutson – Auto Action & Speed Sport) For Valtteri and Daniel, first time we’ve had a race here in the rain. Daniel said the spray was bad. Had it continued raining, and had their not been a Safety Car, with that spray under the lights, could you have gone on? Would it have been driveable? DR: I think we would have persisted. The spray was probably more than I thought – but yeah, we would have continued because the Aquaplaning and stuff wasn’t an issue. So, OK, visibility is bad but as long as the car is obviously not skating around, out of control, I think we can just hold on. But yeah, I mean I was… even the warm-up lap, I was third, so not many cars in front and there was still quite a lot, so I think back in the pack would have been pretty tough – but yeah, I don’t think they’ll have to plan for that in the future, it doesn’t seem to rain here often – but yeah, I don’t know. Maybe Valtteri’s got other comments. VB: Yeah, the spray was the main thing. I think we all would have been happy – at least I would have been happy to get racing even with some race. And like Daniel said, it is all about aquaplaning. If we have that then it’s so unpredictable, and you never know, if you don't see on the straight, it’s fine if you know there’s no-one sideways on track, and if there’s aquaplaning then it’s possible. So, yeah, I think it was OK.
Q: (Andrea Cremonesi – La Gazzetta dello Sport) Question for everybody about the start. For a long time I don’t think we have seen a conventional start under the rain, Would like to know if it was OK for you and if it had some affect on the accident, the wet track at the start? LH: I think it was great. It wasn’t that wet really on the grid, so I think it’s always worse when it’s a rolling start and being that there is so much spray it would have just been a lot more dangerous, I potentially think. So, I think it was the right decision. Q: Did it contribute to the accident? LH: I don’t think so. It looks like Kimi got a great launch. Sebastian not as good and for some reason… really I’ve not seen it all… but Kimi got a great launch and I think it was just an unfortunate racing incident. DR: I think yeah, they were right to start it as a standing start because, as Lewis said, the grid was not too bad. I would say if it was a rolling start, probably nothing would have happened in Turn One. Because normally it just goes off in order and yeah, probably would have been clean and less exciting for the fans. But yeah, regardless, I think the grid was fine. So, obviously unfortunate for the guys involved in the crash but I don’t think they can blame the decision of the stewards or Charlie for starting the race. I think that was perfectly fair and fine. Q: Anything to add, Valtteri? Q: (Frederic Ferret – L’Equipe) Question to Lewis. 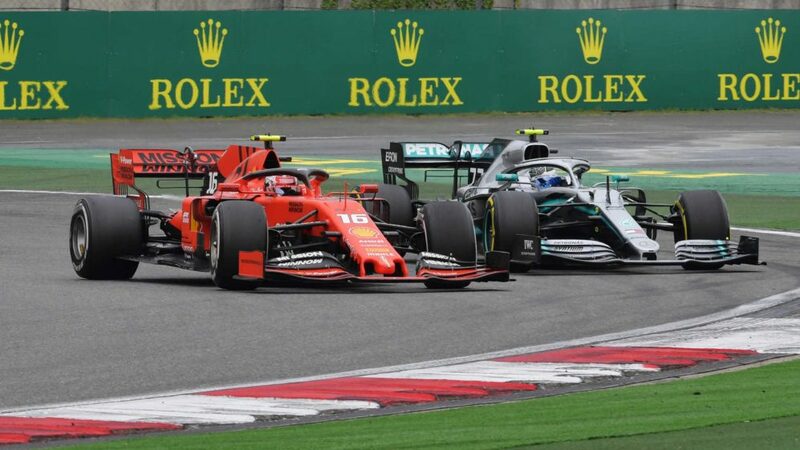 What are your thoughts on a 28 point lead and will it change something in the last six races for you dealing with the grand prix? LH: Definitely won’t change anything. Because it’s working. Whatever it is with the approach that I have, there’s no reason to change it. It’s a perfect balance of being aggressive and cautious at the same time. So, the formula works at the moment, so I’ll just continue with it. Right to the last race. I’ve not really thought about it, it’s still soaking up really. It’s hard to believe. Firstly it’s my 60th grand prix win. I don’t know why but it’s not sinking in just yet, and also the gap, it’s kind of hard to believe. It’s a long, long race and I definitely went into today thinking it was about damage limitation, it was trying to minimise the loss somehow. If I’d got stuck behind Kimi it could have been just finishing fifth. It could have come out a lot worse. So, to come out the complete other direction, for sure it’s a shock. But, I’ll take it and I’m grateful. I’m grateful for it. As I said, we’ve worked so hard as a team, I think today was just fortunate conditions, really just fell into our direction and we capitalised on it. Q: (Heikki Kulta – Turun Sanomat) Valtteri, tenth podium for the season. After the qualifying, was this the podium that you least expected? VB: I think yeah. After such a difficult Friday we had, and then such a difficult qualifying, like I said yesterday, when we had the press in the motorhome, I said I’m not too confident, if it’s going to be a normal race, that we have the pace to be on the podium – but I said ‘you never know’. And I will never, ever give up. Today, waking up to the day as normal, I feel positive. I know anything is possible, there’s no point giving up beforehand, so yeah, we went for it and really, really pleased we had both drivers on the podium and Lewis managed to win. Of course it’s been a tricky weekend for me all around – but it’s nice to have at least third place and a trophy to take home – but the main thing, like I said before, is to learn from this weekend – but yeah, we have to be happy as a team to get such a good amount of points against Ferrari. So good weekend for us in the end. Q: (Joe Saward – Auto Week) Lewis, on about lap 44 you lost a lot of time and there was a radio exchange with the team, can you explain what was going on there – they were asking you to back something up? Q: You lost around 2.5s and the team said something about backing the field up. LH: Was that after the Safety Car? Yeah. I had a lot of pace at the time and I was pulling a decent chunk per lap and I think the team didn’t want me to continue to pull, and for us to all open up and a potential Safety Car window open up for Daniel. If a Safety Car window opened up and a Safety Car came out, he could have stopped and potentially jumped us or had better performance with the next set of tyres, so it was really about not extending the pace there, so backed off and then it was too slow, so I had to pick up – because at the same time he was picking up pace, so that was really why. Q: (Heikki Kulta – Turun Sanomat) Lewis, how surprised are you that you have a hat-trick of wins after the summer break? LH: Oh shoot, it is, isn’t it? I didn’t really realise that. Going into the break, Ferrari were incredibly strong in Hungary. We had the great British Grand Prix and then I didn’t really know what to expect coming back. You come into these races and you don’t… obviously we came here, we anticipated that Red Bull would be particularly quick, we thought Ferrari would be quick but we were hopeful that we might still be within the battle and obviously in the dry conditions we were nowhere. So to come to our weak… probably our weakest circuit, perhaps second or first to Monaco, and to win is obviously a great result. The goal has been to – since the break – has been to come and win every race, that’s always the goal, is to win every race but I’m very very happy with the tally right this second and I want to continue it, I want to keep it up. 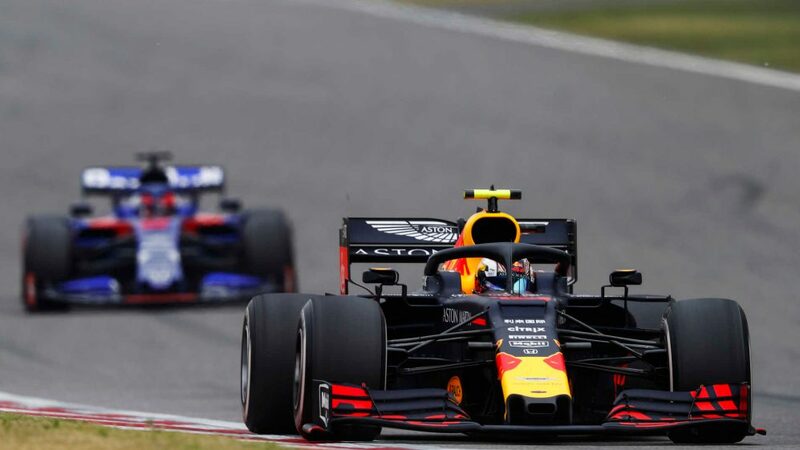 As I said, Red Bull have been putting in some great performances and Daniel is always very very consistent in his races so we’ve just got to stay on our toes and keep trying to extract everything out of this car. I think this weekend, and particularly this race showing the conditions really shows the strengths and weaknesses of our car and the characteristics and we understand what we can do, potentially for the future, to make it better. It won’t happen with this car, potentially for the next one. We’ve just got to make sure we do it, that it doesn’t make it worse because it’s actually pretty good elsewhere. Q: (Frederic Ferret – L’Equipe) Lewis, what are the races you think Ferrari could be better than you or Red Bull? LH: What do we have coming up? 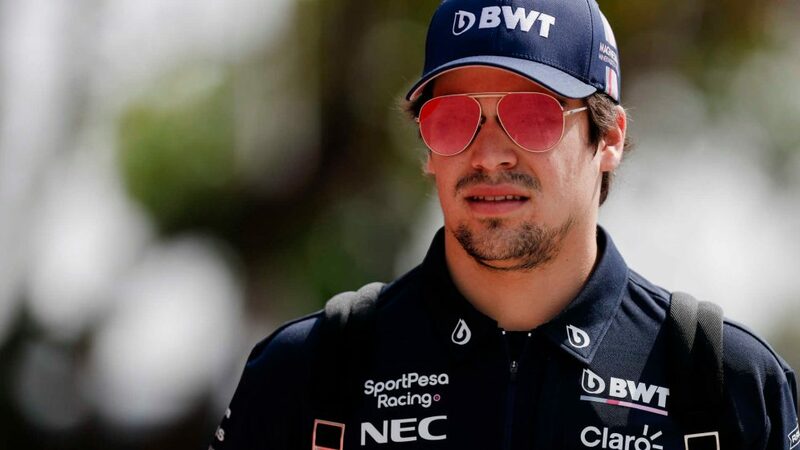 We have Malaysia… we should be, I think we should be OK. Then we have Japan, high downforce circuit; could be close, Red Bulls are very very strong at that circuit but I think we might be… it won’t definitely be our strongest circuit and then we’ve got Mexico, I think we’ll be… Austin, I think we’ll be fine. I think Brazil would be a place where these guys will be particularly strong. Ferrari will be particularly strong. Honestly, I think it’s going to be very close in the next races. It’s hard to predict, as I said, but I think that one particularly… and maybe when you go to Mexico, for example, you’ve put your maximum downforce on but because it’s so high there’s little drag and maybe the cars that have a little bit more downforce might just have the edge on us but it’s all hearsay. We’ll find out when we get there. Q: (Jens Nagler – Bild) Lewis, have you been surprised by Sebastian at the start, that he pulled to the left that far because it opened up some space for you? LH: He didn’t open space for me because I was behind Daniel. At that time, once I got to turn one I realised I was kind of alongside Sebastian but as I pulled away, I was only focused on trying to get away faster than Daniel. I saw Kimi so I was just keeping an eye on what’s happening on my left side and if some drama was going to happen I was just going to have to go straight at turn one and not get collected which I was conscious of. I think Sebastian… often - when you look at my last start at Monza – when you pull away, you can’t actually see the guy who’s in second place, they’re generally in your blind spot if they get as good a start as you and it’s difficult to know where they are so all you’ve got to do, you’ve got to start, your immediate thought is to cover your ground, get to the inside and cover and turn them down, so I assume that’s what he did. At least, when you do that, then all of a sudden they appear in your mirror so you can understand where they are or in your peripheral view. But sometimes you do it and you realise you’re ahead so you actually didn’t need to. I don’t if Sebastian felt that way or not. 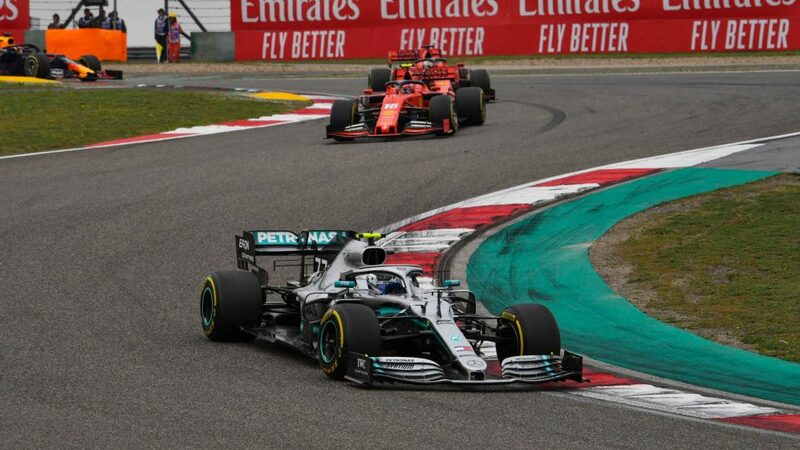 Q: (Joe Saward – Auto Week) Lewis, would you describe from a championship point of view, today being the perfect result for you? LH: Of course. That answer is pretty obvious. Today was… it couldn’t be a more perfect scenario really for us, as I said, being that we are at a circuit where they were in another world in hotter, drier conditions and we really had not a lot of hope, we really had to just bank on potentially a good start and maybe a bit of strategy, just to get us one or two places… it was going to be one place maybe or hope for reliability for another car but for the rain to fall, I was so happy, you can’t imagine how happy I was. Normally when it rains, you’re kind of a little bit apprehensive, it’s a little bit nerve wracking, isn’t it, because it makes it so much trickier for us and here we’ve never even driven in the rain so… but for me, I’m kind of like… yes. I think there’s a couple of us that particularly love those conditions more than maybe others. I just know that… when those conditions happen it’s more of a lottery, there’s more opportunity, it levels the playing field and then there’s a real race and that’s what I was excited to have. A bunch of cars went missing and then I was like I still have to try to enjoy it and it was still a massive challenge, I could have easily just binned it. I think just generally, through the whole race, I kept… every now and then, Senna pops into my mind… his Monaco Grand Prix where he was obviously in the lead and hit the wall and that always comes in and reminds me not to do that. I’ve had experiences like that but I learnt that lesson, that always just comes in and reminds me in the back of my mind, it’s almost like he talks to me, just stay focused, keep it together. Q: (Bharat Sharma – Press Trust of India) Lewis, would you end up re-assessing your future if you end up winning a fourth World title and have you ever thought about getting close to Michael’s tally? LH: Honestly, I’m working just step by step, trying to… it’s hard enough to get these championships won one at a time, it’s hard enough just to get this fourth one. My goal is just to… I’m loving driving more than ever. I feel like I’m driving better than ever. Often, I guess, it’s easy to say that but I really feel that I’m… I feel the most whole as a driver that I’ve ever been which is a great feeling. 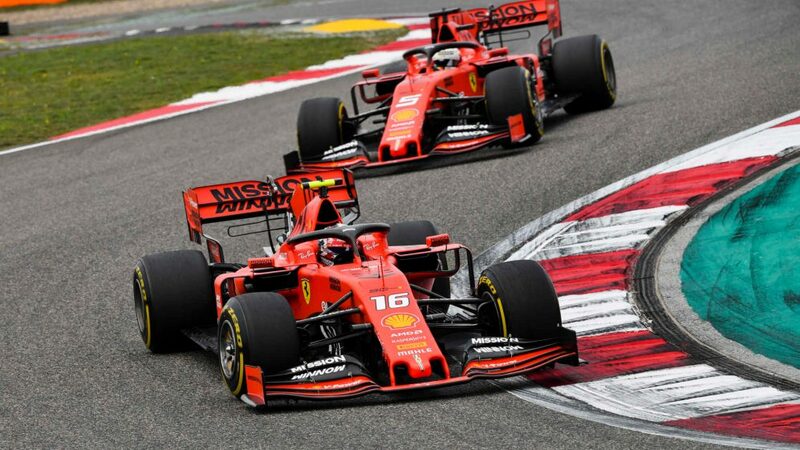 And as I said, I’m enjoying it more than ever, I’m enjoying the challenge, the fact that we don’t… we have a balanced car alongside a Ferrari and sometimes a Red Bull so it’s great to be able to be challenged by another team and really have to play on your qualities and work on your weaknesses. But at the end of every season, you always have a think about your future, you’re always assessing… you set a five year plan… for me personally I set a good five year plan but it gets altered every year as you add another year onto it. Currently it’s quite clear for me. Who knows if we’re going to get anywhere near Michael? I mean that was… his records are so… seven championships, I personally don’t have a desire to chase that. I don’t know how the other drivers feel about that but the wins feel more exciting to try and chase. Records are there to be broken so at some stage someone will break them, whether it’s me, I can’t tell you. Q: (Andreas Haupt – Auto, Motor und Sport) Daniel, you mentioned some problems with your car, especially with the gearbox, you had to manage. Could you give us some more details about it please? DR: Yeah, I’m actually not too sure what the issue was but I was just advised to do some short shifts from fairly early in the race and I was then reminded to continue to do that up to the end. Yeah, obviously there were probably some issues going on and that was a way of managing it. I think that was the main thing. But I’m not sure the reason, but that’s what I was told to do. Q: (Graham Harris – Motorsport Monday, Motorsport Week.com) Daniel, you came into this race very stoked, you wanted to win it, you said you were going to win it and obviously things panned out a little differently. You have six races left, do you feel the same way about any of those six, are you aiming for one or two of them? DR: Because people from the outside are probably thinking well, doesn’t every driver feel they can win when they rock up. That’s obviously the mindset that coming here, I really felt the package we were coming with was a realistic goal of ours that we thought we could achieve. That was kind of where I was coming off with that. Malaysia, obviously there were a few incidents last year but I think our general pace wasn’t too bad so we might be stronger than we think there. Malaysia, Japan and then we’ll see. I think we can be podium cars, probably Malaysia, Japan, Austin. But yeah, we might need some alternate conditions to really give us raw pace to fight for a win. Yeah, I’m not going to sit here and say we’re not going to win one. I believe we’ll get at least one chance somewhere.